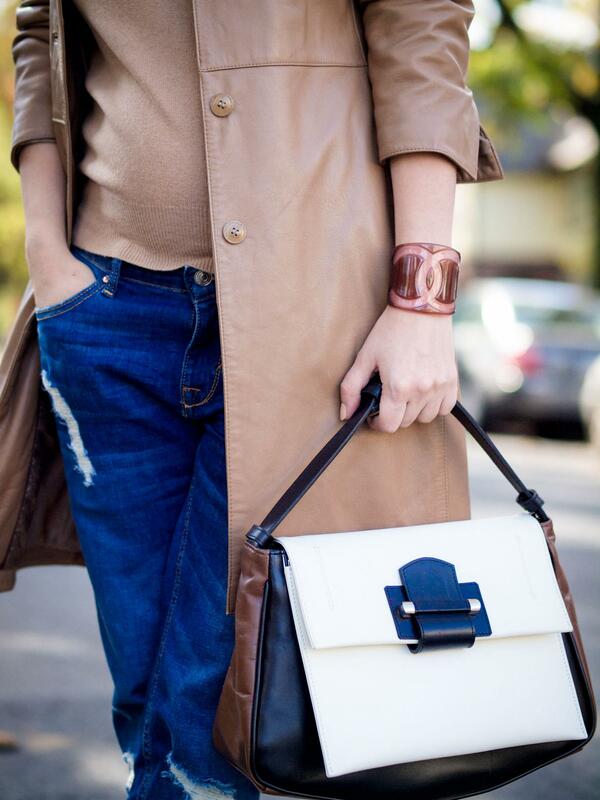 And again the contagious Camel color... this time an oldie but a goodie leather trench that I take for a spin every single year since I bought it... and always in the fall season. This time I paired it with a camel turtleneck sweater and boyfriend jeans. I guess this is a classic combination in my "must wear list" where the central piece is a camel coat/jacket and poppy pink heels. Well, this is the result. I hope you like it! I like the pop of colour via your shoes and that bag is very unique! I love the pop of color too, it’s giving me ideas!